A top Indian scientist is set to join the advisory board of the UAE Space Agency, the Indian Ambassador to the UAE, Navdeep Singh Suri, said on Tuesday night. Speaking at a function to celebrate the 16th Pravasi Bharatiya Divas (NRI Day) jointly organised by the Indian embassy in Abu Dhabi and the Indian consulate in Dubai, Suri said that he had recently had a meeting with Dr Mohammad Al Ahbabi, Director General of the UAE Space Agency. Speaking to Gulf News later, Consul General of India in Dubai, Vipul, confirmed that the top space scientist in question is K. Radhakrishnan, who retired as chairman of the Indian space agency in 2014. 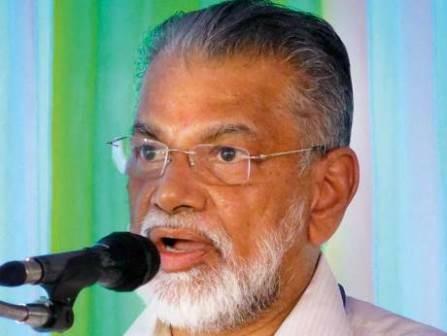 Ranked among the world’s top 10 scientists in 2014 by Nature journal, Radhakrishnan has held several key positions in Isro and other scientific agencies. He was one of the key people behind India’s Chandrayaan-1 moon mission. The ambassador said more fascinating collaborations between the two countries in the space sector are in the pipeline. Speaking about the growing cooperation in the defence sector, he revealed that India has signed a contract with the UAE related to supply of defence materials. The ambassador also highlighted the deepening political relationship between the UAE and India that has enhanced the countries’ partnerships in various fields and boosted the profile of India in the UAE. “Our strategic partnerships have transformed the transactional relationships into more substantive relationships. We can expect more announcements regarding this in 2018,” he said. His statement also comes in the wake of the upcoming UAE visit of Indian Prime Minister Narendra Modi in February. On Tuesday, His Highness Shaikh Mohammad Bin Zayed Al Nahyan, Crown Prince of Abu Dhabi and Deputy Supreme Commander of the UAE Armed Forces, received a telephone call from Modi. The two leaders discussed ways of enhancing the friendly relations and cooperation between the UAE and India to best serve the strategic interests of both nations and their people, WAM reported.